Atrial fibrillation is a fairly common heart rhythm disturbance that often produces significant symptoms, especially easy fatiguability and palpitations. The real reason that atrial fibrillation is of concern, however, is that it can lead to stroke. Atrial fibrillation is a rapid and irregular cardiac arrhythmia caused by chaotic electrical impulses in the atrial chambers of the heart (the two upper chambers). When their doctors record an ECG during one of these episodes, they will see that atrial fibrillation is the cause of the symptoms. In people with the more typical forms of atrial fibrillation (that is, not associated with alcohol or celebrations), the arrhythmia may be caused by underlying heart disease, aging, hypertension, obesity, or a sedentary lifestyle. However, in many other people with the usual forms of atrial fibrillation, no cause at all can be identified. In contrast, the atrial fibrillation that occurs with holiday heart is caused by episodes of alcohol consumption. We know that chronic, heavy drinking is associated with a form of dilated cardiomyopathy and heart failure, which, in turn, often leads to chronic atrial fibrillation. So there’s no question that heavy, long-term drinking is bad for the heart. Even much smaller amounts of routine alcohol consumption has been associated with an increase in the risk of atrial fibrillation. There is a measurable increase in the odds of developing atrial fibrillation in populations who consume more than 1 drink per day, and the risk is increased by almost 40% in those who average more than 3 drinks per day. Holiday heart, on the other hand, is not associated with chronic alcohol consumption of any kind. Instead, it is associated with binge drinking—the kind that people typically engage in during the holidays or during a celebration. Typically the binge is a real “binge,” with very heavy alcohol intake over a relatively short period of time, and the atrial fibrillation that ensues is accompanied by all the other unpleasant side effects that often accompany binge drinking. Other kinds of overindulgences may occur during these binges, including eating a lot of food that is bad for you or taking drugs. While these factors may play a role in developing holiday heart, the only factor that is virtually always present is alcohol. In fact, it is estimated that up to 60 percent of people who engage in heavy binge drinking will eventually develop episodes of atrial fibrillation as a result. This variety of holiday heart—where the atrial fibrillation occurs after an obvious episode of binge drinking—is the most common form of this condition. Doctors are well aware of this more obvious variety and generally have no problem in making the correct diagnosis. They will also get the treatment right—namely, advising the patient to avoid binge drinking in the future. There appears to be a much more subtle form of holiday heart, one in which atrial fibrillation occurs, but a history of true binge drinking is absent. It turns out that some people are simply extremely sensitive to alcohol. In these individuals, moderate amounts of alcohol (typically two or three drinks), and sometimes even a single drink, can trigger episodes of atrial fibrillation. Ironically, this milder kind of holiday heart may end up posing a bigger problem for the patient than the more typical, more severe kind. 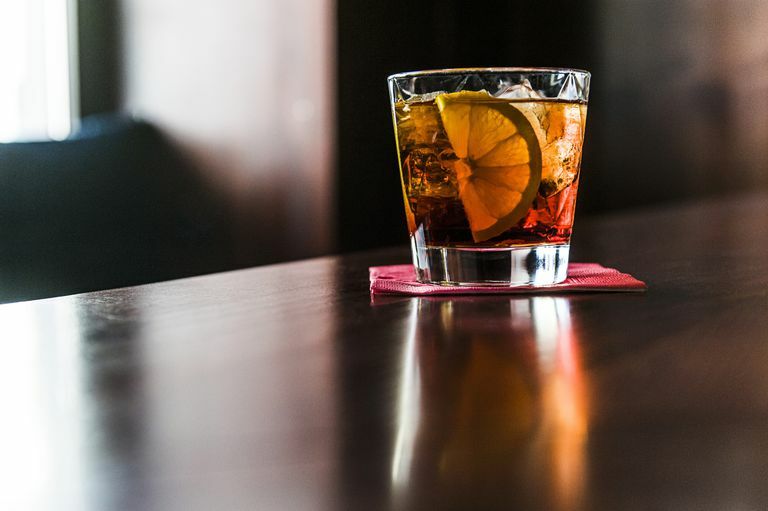 The problem is that without a history of real binge drinking, this more subtle form of alcohol-induced atrial fibrillation can be easily overlooked by a doctor. If the association between the paroxysmal atrial fibrillation and the alcohol ingestion is missed (because there really hasn't been very much alcohol ingestion and no binging), the doctor may be led to recommend chronic therapy for atrial fibrillation. Such treatment can be quite unpleasant or even risky. In fact, the appropriate therapy for these people, of course, is simply to avoid drinking alcohol. For someone who has had an episode of holiday heart after a small amount of alcohol, that pretty much means avoiding any alcohol in the future. This milder form of holiday heart may be more common than is currently recognized. So, people who have episodes of paroxysmal atrial fibrillation should carefully consider the circumstances in which this arrhythmia has occurred, and try to determine whether it seems to be related in any way to alcohol consumption. Doctors who treat patients with paroxysmal atrial fibrillation should be sure to ask about even minor exposure to alcohol. In fact, doctors should also examine other aspects of a patient’s lifestyle, since atrial fibrillation is a “lifestyle disease" more often than doctors realize. By making the proper diagnosis, they may spare their patient from inappropriate treatments. “Classic” holiday heart syndrome refers to the onset of sudden atrial fibrillation after an obvious bout of binge drinking. In addition, some people will have atrial fibrillation after even very moderate alcohol consumption. It is important for doctors to consider even trivial amounts of alcohol ingestion when they are trying to figure out why a relatively young, healthy person has developed an episode of atrial fibrillation. Constantini, O. and Stambler, B. Approach to the Patient with Atrial Fibrillation. In: Management of Cardiac Arrhythmias, Ganz LI and Braunwald E. Eds. Humana Press, Totowa, NJ. Djoussé L, Levy D, Benjamin EJ, et al. Long-term Alcohol Consumption and the Risk of Atrial Fibrillation in the Framingham Study. Am J Cardiol 2004; 93:710. Frost L, Vestergaard P. Alcohol and rRsk of Atrial Fibrillation or Flutter: a Cohort Study. Arch Intern Med; 164:1993. Mukamal KJ, Psaty BM, Rautaharju PM, et al. Alcohol Consumption and Risk and Prognosis of Atrial Fibrillation Among Older Adults: the Cardiovascular Health Study. Am Heart J 2007; 153:260. Larsson SC, Drca N, Wolk A. Alcohol Consumption And Risk Of Atrial Fibrillation: A Prospective Study And Dose-Response Meta-Analysis. J Am Coll Cardiol 2014; 64:281. Djoussé L, Levy D, Benjamin EJ, et al. Long-term Alcohol Consumption and the Risk of Atrial Fibrillation in the Framingham Study. Am J Cardio 2004; 93:710. Frost L, Vestergaard P. Alcohol and Risk of Atrial Fibrillation or Flutter: a Cohort Study. Arch Intern Med; 164:1993. How Do the Holidays Affect Your Heart?